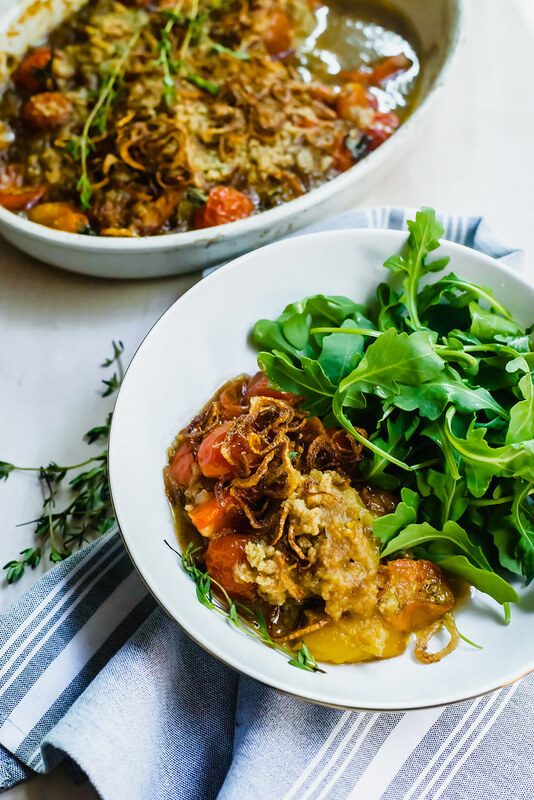 End of summers tomatoes is the perfect time to make a savory tomato crumble topped with crispy fried shallots and herb crumb topping. I may be writing this at the brisk of fall, but I am still savoring summers bounty. My 1st year of growing tomatoes was a prolific one and my plants did pretty darn well. They grew huge and with only 4 small tomato starts, managed to harvest nearly 8 pounds of tomatoes this season. Now I call that success! I still have a few pounds of tomatoes left and have been dreaming of creating a savory crumble of sorts. A few years ago I made a savory tomato cobbler which is one of my favorite recipes ever and have dreams of making a classic Southern tomato pie. 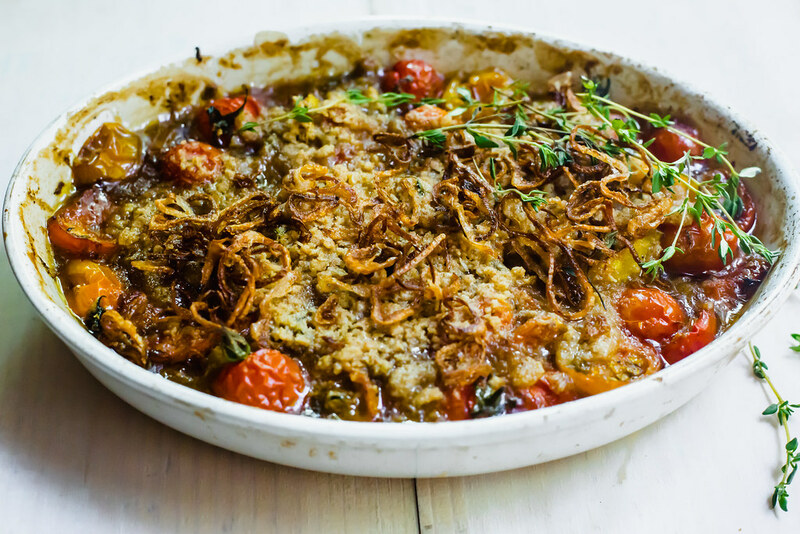 For now though, most of those tomatoes turned into snacks, homemade tomato sauce and more recently, savory tomato crumble with crispy shallots. 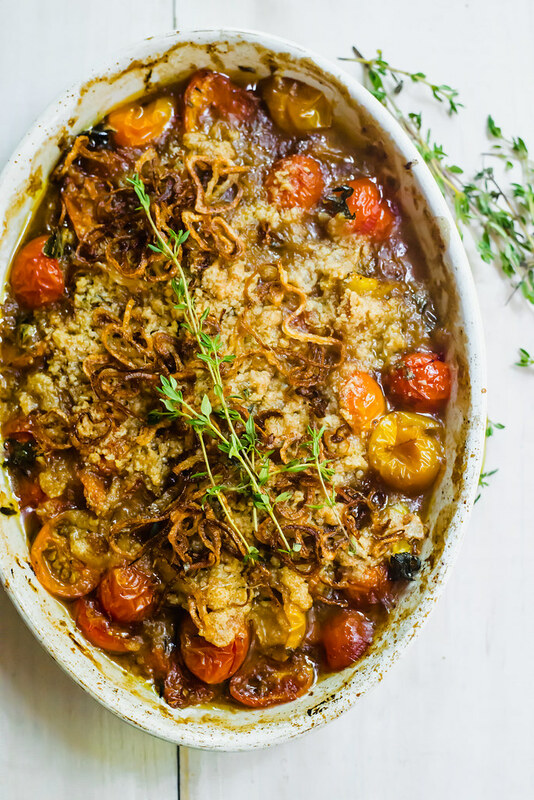 Looking for more ways to use up all those tomatoes? 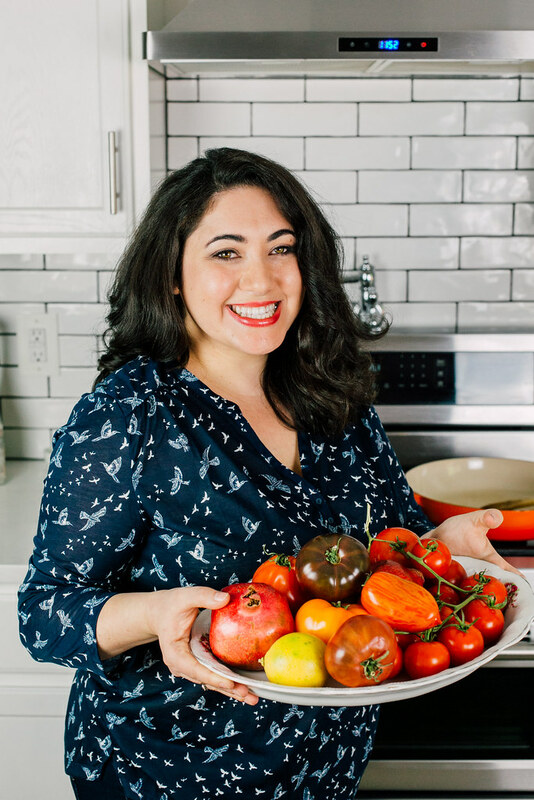 I have a slew of tomato recipes, because if you know me, you know how much I LOVE tomatoes! Stuff halved tomatoes into heirloom tomato focaccia or rolled up into my savory tomato challah . And of course, a classic, heirloom tomato salad with herb oil and burrata. Start by heating grapeseed oil in a shallow skillet until hot. Add sliced shallots and fry for 3-5 minutes until lightly golden brown. This happens fast so keep an eye on them. Once done, use a slotted spoon to remove them to a paper towel lined plate and season with salt. Set aside. Make the herb topping by combining all of the topping ingredients in a bowl. Use your fingers or a fork to blend the butter into the flour evenly. The butter should be the size of small peas. For the tomato filling, cut any large tomatoes in half or quarters and the smaller tomatoes in half. 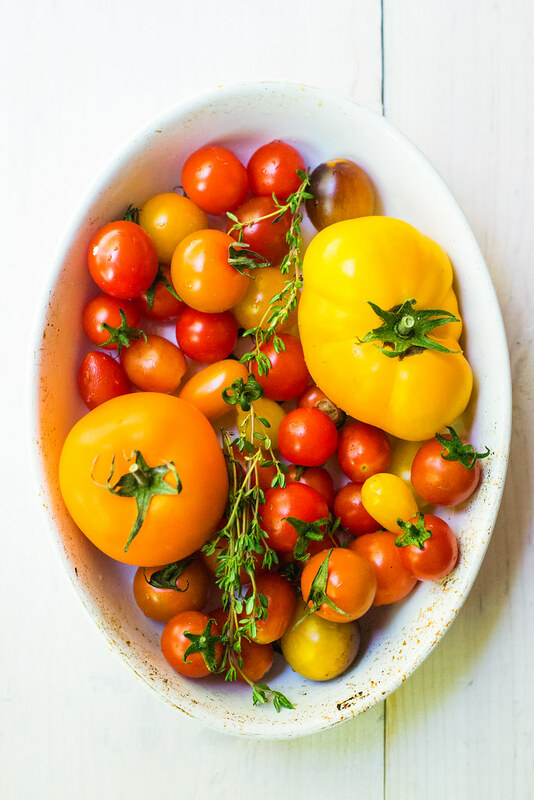 Toss tomatoes with a drizzle of olive oil, flour, chopped garlic, balsamic, herbs and season with salt and pepper. Top tomatoes with herb topping mixture and bake for 40 minutes until the topping is golden brown and tomatoes have softened. Once done, top with fried shallots and fresh thyme. How long does this bake? There’s no instructions for that part. Thanks!